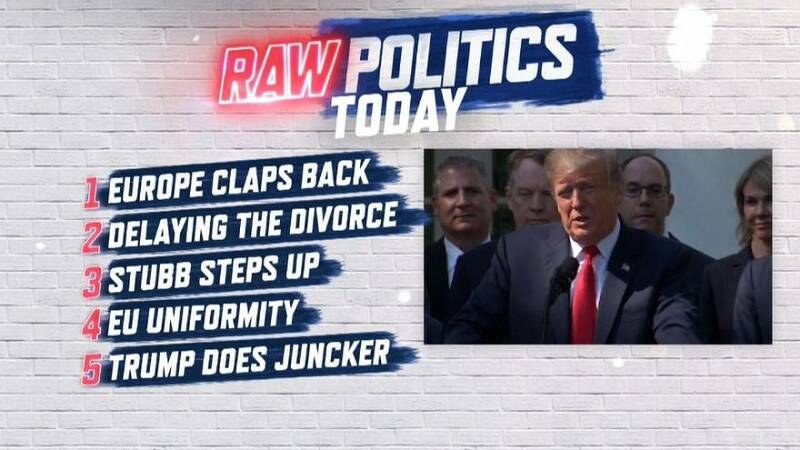 Raw Politics: EU leaders snap back at Hunt, Stubb set to stand and is diversity dead in EU politics? Europe claps back - Politicians turn on the UK in an emotional display over Brexit. Delaying the divorce - Boris Johnson woos Conservatives and promised to push back the Brexit deadline. Stubb steps up - The former Finnish PM makes a play for President, vowing to unite Europe. EU uniformity - Mostly male, almost all white...does Brussels have a problem with diversity? And in the Raw Moment, Donald Trump's does his best Jean Claude Juncker.